“The Russian effort to destabilize the United States does not take place in a vacuum. Rather, it stems from the Russian president’s strongly held view—shared by a wide range of Russians—that the spread of U.S. regional and global hegemony since the end of the Cold War threatens Russian vital national interests and deprives Russia of its rightful place on the world stage,” they explain. 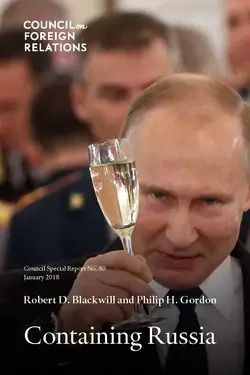 “There is also little doubt that Russian interventions continue—both to influence upcoming elections and to divide Americans, fanning the flames of cultural, racial, and class resentment and seeking to delegitimize institutions, the free press, and elected officials,” the authors write. Electoral and Cyber Countermeasures. Strengthen the cybersecurity of federal networks and critical infrastructure and support legislation to enhance transparency and update campaign finance laws to cover online activity.